With Disney's "Frozen" starring Tony winner Idina Menzel, it was only a matter of time before it became a stage production. Disney CEO Robert Iger confirmed as much to Fortune, telling the magazine that the 2013 blockbuster has potential far beyond the movie theater, and could work well as a musical. 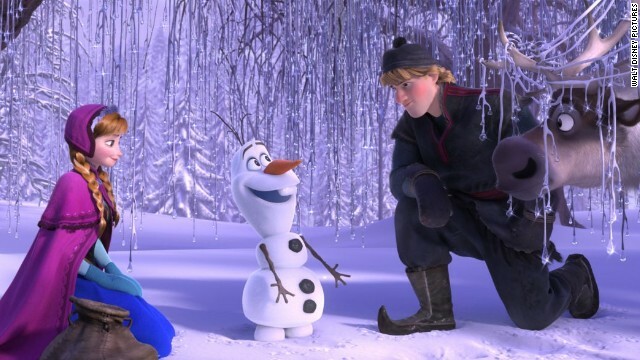 "Frozen's" songs have become just as popular as the film itself, and seem practically destined for Broadway. Iger's in no rush to get there, though. "We're not demanding speed," Iger told the magazine. "We're demanding excellence." The adaptation shouldn't have to work too hard, since the source material has been a resounding success. "Frozen" is very loosely based on Hans Christian Andersen's "The Snow Queen," and tells the story of an optimistic young woman named Anna, who embarks on a journey to reconnect with her sister Elsa, whose icy powers have left their homeland stuck in a permanent winter. Throw in a snowman sidekick named Olaf and a solid soundtrack, and Disney found itself with a movie on par with some of its greatest hits. Since it opened after Thanksgiving, "Frozen" has brought in $318 million domestically, and its soundtrack has reached No. 1 on Billboard's albums chart, even surpassing Beyonce's self-titled album.